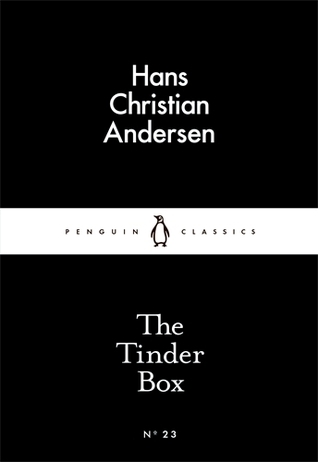 For me, it’s a bit dubious that people can be so highly critical of misogyny in stories written today, but totally ignore the misogyny in classics, such as those written by Andersen. In the Tinderbox, the soldier cuts of a woman’s head, just because he didn’t want to give her the tinderbox, even though he agreed he would and even got paid well for that. Then, to top it off, he kidnaps a girl night after night, is supposed to executed for that, manages to turn it around, kill her parents and marries the girl. Seriously!? Of course, the fact that you can only be a real princess when you can still feel a pea through a ridiculous amount of mattresses doesn’t make much sense either. Futhermore, there are so many loose morals and bad guys winning in this collection, that I really couldn’t enjoy the stories very much. There’s only two that I didn’t think were too offensive: Little Klaus and Big Klaus (because at least the murderous bad guy loses) and The Steadfast Tin Soldier (because that’s just a whole lot of bad luck, not bad intentions). Also, what’s wrong with liking red shoes? Even back in those days that would’ve been fine, but no, a girl liking things can of course only go one way: she’s got to have her feet cut off. As for the Nightingale, the emperor should’ve just died. Finally someone who deserved dying, and then he is rescued, because he’s the emperor; rich people always win. Lovely moral to end the story with, isn’t it? Yea, I wasn’t a fan of these fairy tales.